Able Storage, the leading name for warehouse storage systems, is a premium supplier of plastic storage containers for domestic and industrial uses in Victoria and Australia-wide. 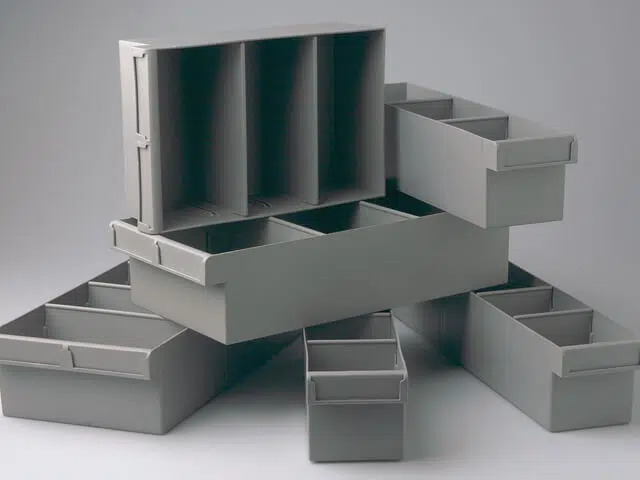 Our strong and durable heavy-duty storage boxes are available at the most competitive price ranges. Our entire range of products are manufactured from high quality parts in Australia. 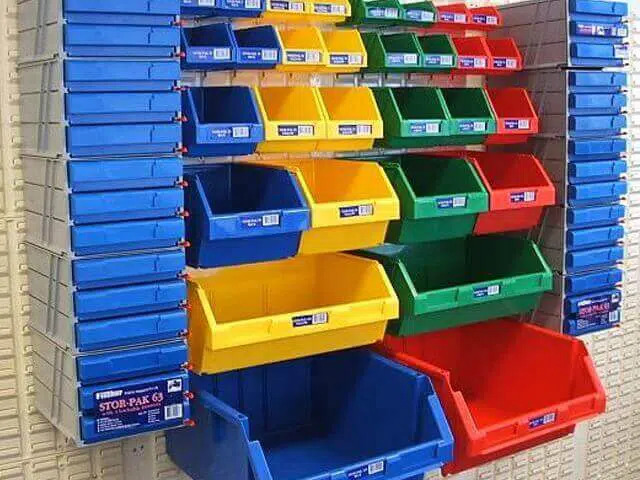 Our Fischer series of plastic containers for storage and Stor Pak bins are very popular among our clients because they are suitable for many types of domestic and industrial applications. We also supply heavy duty crates and boxes that are suitable for a wide range of industry applications fulfilling the high usage requirements. Our Fischer boxes are made up of polypropylene, making it resistant to solvents and oils. It is an ideal option for repair centres, garages, and electronic shops. 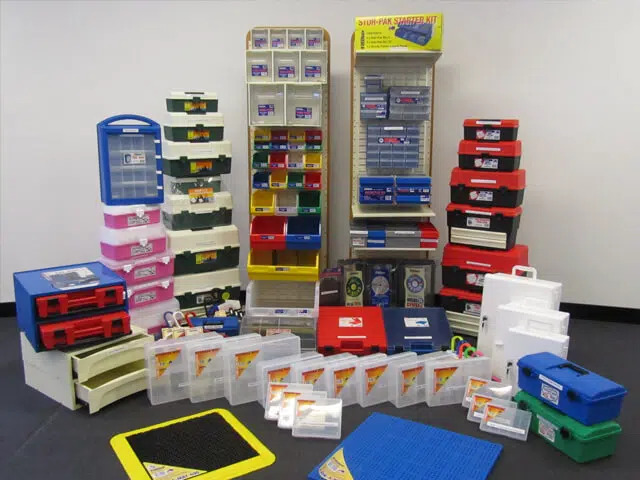 Our Australian-made Stor-Pak bins provide a perfect solution for accommodating small bits to bulky items. They are available in 6 sizes and 5 colours, such as blue, red, yellow, clear, and green. They are made up of durable polypropylene and possess an angled front for easy picking access. The Stor-Paks comes with the accessories including louvre panels and dividers. Louvre Panels can be attached to benches or to the end of the pallet racking bays and they help in organising the packaging areas. Spare parts trays are ideal for standard metal shelving and they are perfect for high-density small parts storage of nuts and bolts. We supply 2 removable dividers of 300mm and 400mm deep and 5 removable dividers of 600mm deep with each tray. These trays are not only strong and durable but also resistant to oils and solvents. They are suitable for garages, repair centres, and electronic parts. Louvre panels provide a convenient way to store Stor-Pak bins and Visi-Paks. They are available in metal and plastic. Each bin fits securely on the panel. We supply Visi-Paks with special slips that fit into lourve panels. They can also be screwed on the wall or kept free-standing on the bench. 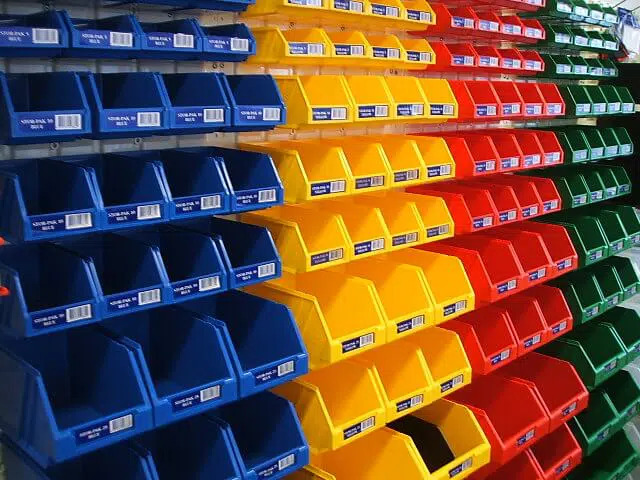 They are made up of GP, HI Styrene and gives an ideal solution for a home storage system, in-store merchandising of products, and office supplies. It consists of clear removable compartments, which keep the things clean and also makes the visual stock control easy. Our drawer organisers come with robust and durable drawers that can be fitted to a louvre panel or screwed to a wall. This is an ideal option for a handyperson’s garage as it is suitable for nuts and bolts. Call Today For Extensive Range Of Storage Parts, Boxes, & Bins! For more information and queries on our wide ranges of storage parts, boxes, and bins, feel free to contact Able Storage on (03) 9305 3676.